The Magical Mystery Tour is a 3-day, 4-quadrant event filled with unexpected and delightful twists and turns through the beautiful landscape of Hungary. 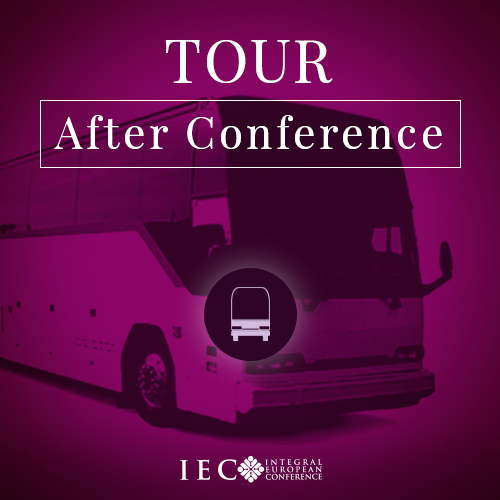 You will experience a “stages of consciousness” tour as you journey through magenta, red, amber, orange, green, and teal layers of European and Hungarian culture, and local integralists will share with you their individual and collective interiors, their stories and sagas. Bence Gánti, master tour guide, will introduce you to places and people you most certainly would not have found any other way, and a professional tour guide will fill in the historical details of the cultural and spiritual sites you visit. Traveling with you on the bus will be 65 conference participants, including 10 keynote speakers, and there will be many opportunities for building community with your fellow journeyers—sharing traditional meals, relaxing in the spa, chatting on the bus—as well as opportunities to sink into a peaceful, pleasant space of your own while looking out the window or slipping away with your camera to catch a gold-rose Hungarian sunset. This tour has it all.